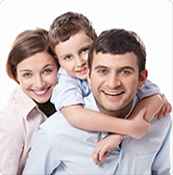 Get competitive life insurance quotes quickly. Feel free to unsubscribe with just 1 click if not interested. Every effort is made to help you receive quotes from the whole of the market. Have you smoked or used nicotine replacements in the last 12 months? How long would you like the cover for? Keep me up to date on CLIQ deals and offers. If you don't love it, just unsubscribe with 1 click - It's super easy! The content or information on this website is offered for general awareness purpose only and it's not part of financial advice. We continuously strive to make the information and material on this website up-to-date and accurate. However, we advise you not to rely upon it as a statement or representation of fact neither take for granted the accuracy of the material as errors and omissions may occur. The content or material or information on this website is targeted at customers in the UK. This website is free to users but we may receive a fee from the provider or intermediary referred to you, the user. Calls to you or telephone transfers we refer to any provider or intermediary may be recorded for quality and training purposes. Some products may be available from selected providers only.